The people at the Bunbury Farmer’s Market are renowned for doing things well, and the installation of their new sound system was no exception. A lot of time and effort went into carefully planning a system that would achieve their goals in terms of sound and sound distribution while maintaining the aesthetics and general vibe that the organisation has become famous for. Once all the decisions were made the installation process began. Obviously this could not happen during the day with all the busyness that is the Farmer’s Market. The lads worked for five nights after the doors closed through until the early morning. They were not alone though, there were many people working behind the scenes at all hours baking, cleaning and preparing for the next day. It is a really amazing place. Brendan spent a good deal of time in the ‘Genie’ EWP, putting up the 54 QSC Pendant speakers and 3 wall mounted QSC Speakers. The lads also installed 8 little 3 inch LED Screens for control at each of the demonstration locations that are dotted throughout the walkways of the market. The installation also included 4 channels of headset radio microphones and three paging microphones, some 1.5km of speaker cable, 600m of Cat 6 an 200m of coax. 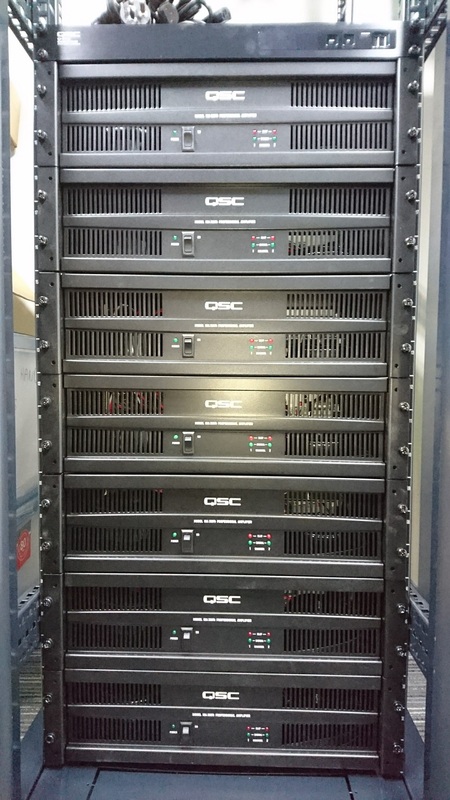 All driven by a QSC QSYS DSP/Control System. The crew were grateful for the assistance from the boys at JCW Electrical who did a fantastic job of installing the cable. Special thanks to Graham Heath and Leith Johnston and the team at Bunbury Farmer’s Market for thinking local and giving the Totally Sound team the opportunity to work on such a terrific project. The crew at Totally Sound installed 3 x 55″ TVs and a three zone sound system with iPod control into the new Anytime Fitness at Australind. Great looking gym! It has been a season of installations for the team at Totally Sound, one of the bigger ones being the PA, Lighting and AV System installation at Georgiana Molloy Anglican School. The installation was in their ‘MAC’ Hall, which is a large, modern, multipurpose centre with a built in stage at one end. The PA installed consists of D&B Mini Line Array and a Digital Consol. Lighting includes three lighting bars, patchbay, dimmers and control. The audiovisual components are 2 x 3.6m screen and 2 x 6000 lumen Panasonic Projectors, run by a Crestron Control System. This latest digital technology provides a simple interface to what is a relatively complex system. The crew at Totally Sound have been busy installing a sound system in the new hall at St Mary’s Primary School in Bunbury. The multizone system is designed to allow flexibility for a variety of applications in this multipurpose space. Controlled by a Nexia CS Digital Audio Processor, the system allows for presets to be stored and recalled as required. Microphones include 6 radio (2 hand held, 4 headset), three choir mics and two vocal mics. The system also has ipod and laptop connectivity. The Roman Catholic New Norcia Parish recently engaged Totally Sound to Install a new sound system into the iconic, heritage listed Abbey Chapel. The Abbey is in a classic cross design and has now been fitted out with a combination of Australian Monitor column speakers and a Sound Sphere, a Bosch Plena Mixer Amplifier and a Shure SLX Radio Microphone system. The Benedictine Community put the system through its paces with a capacity crowd last weekend and reported that they were “delighted” with it’s performance. 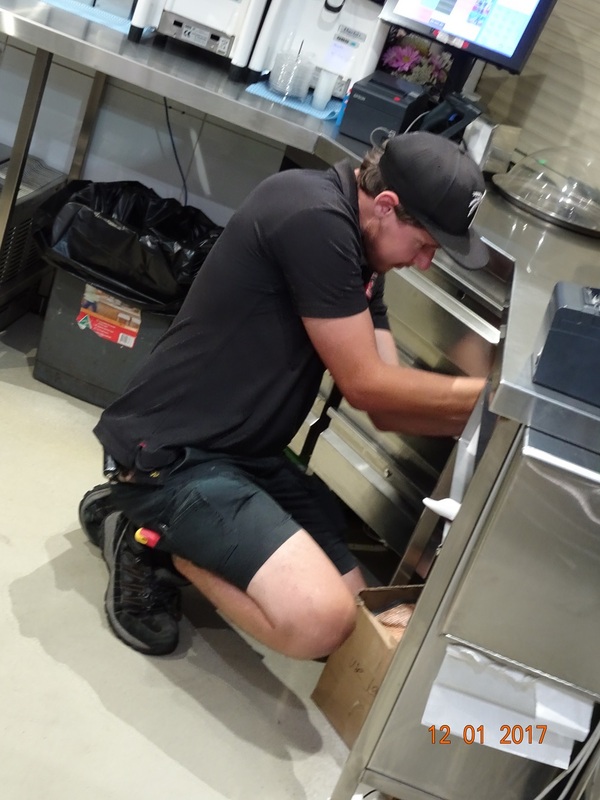 As part of a complete refurbishment, Settler’s Tavern in the main street of Margaret River made the decision to purchase an inhouse PA and lighting System. 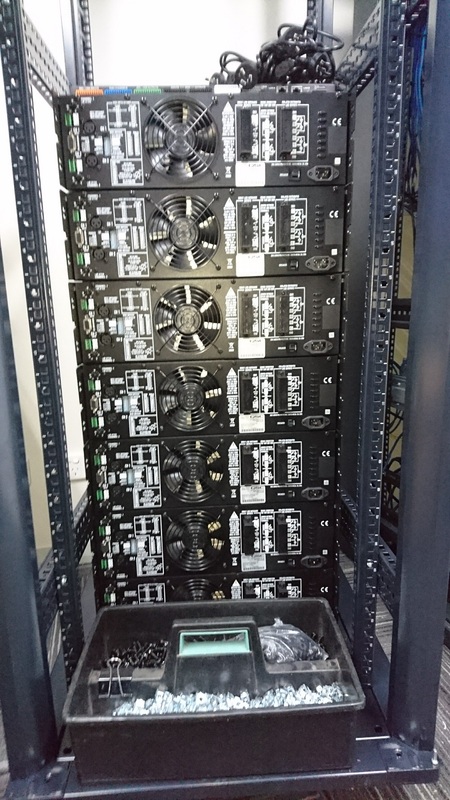 The Totally Sound team were contracted to install a Turbosound Flex Array System consisting of 2 x TFA 600 Top Boxes and 1 x Double 18″ sub per side. The team also put in a Global Truss Arch over the stage to support the PA and the lighting. The lighing installed consists of 8 x Tricolour LED Par 64’s.